With Strikeforce remaining steadfast in their march down legitimacy road, the San Jose, California based promotion continues exploring outside the box – yet potentially lucrative – options. 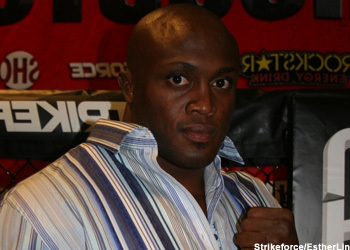 Although the company has made no formal announcement regarding their first pay-per-view broadcast, Strikeforce brass stated during yesterday’s press conference that they are more than interested in featuring a WWE reunion between Bobby Lashley and David Batista in their non-freebie debut. While Lashley owns a perfect 5-0 record against the who’s-who-is-this of mixed martial arts, Batista has yet to set foot inside a professional MMA cage/ring. Furthermore, the overly chiseled Batista has been so focused on learning his new craft that he hasn’t had time to iron out a deal to join Strikeforce. While both sides continue to negotiate the best contract possible, it hasn’t stopped company CEO Scott Coker from fantasizing about the dream match-up.